Welcome to the Operation Write Home Sketch Blog Hop! I am proud to be doing this Blog Hop for the first time. Operation Write Home is a great organaztion who provide handmade cards to our service men and women. Supporting OWH is a way I can say Thank You to the service men and women for the sacrfices they make everyday. The challenge sketch I chose was #19. 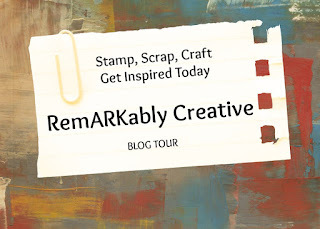 Thank you for stopping and don’t forget to check out the other amazing blogs on this blog hop! Love the simplicity of the design. Great color mix. Such a pretty, soft color palette. Lovely card! Hey we picked the same sketch! Love your take on it - especially that stitched ribbon, so cute! Happy WCMD! I like the CAS design of your card. It give the little details like the ribbon and embossing a chance to shine. Your card is so nice and simple. The embossing looks great and adds just that extra touch. This card gets right to the point without too many distracting features...perfect! Thanks for joining in the hop today. I like the embossing, gives the clean and simple care texture. Wonderful card! CAS and beautiful. Happy WCMD! Terrific CAS design! The embossed panel adds beautiful texture and the stitched ribbon is perfect. Thanks for joining in the hop today and supporting OWH! Very sweet with this flower. What a pretty card. I really like the big flower with the embossing and the ribbon; it all ties together so wonderfully! I love the sharp design of this card. Super well done! I LOVE the CAS look to this card but especially I like how the embossed design complements the flower image! Very well done CAS! Thanks for supporting OWH. Beautiful! I love the CAS feel and the embossed bottom really adds texture! Love all the textures you used on this card. Thanks for your support of OWH. 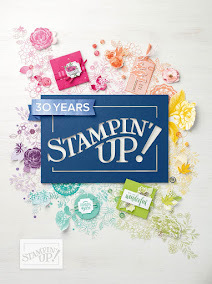 Create Pretty Packages with Stampin Up!